Please enter me in the Motorola Roadster In-Car Speakerphone Giveaway. New to your site - and you are giving things away! Enter me in the giveaway for the speakerphone. I’ll be back! I love Techlicious! Would love the prize to! This is a wonderful prize. I would love to be able to use this in my car. I think it is a great idea. I am already a newsletter subscriber. thanks so much for the chance. I’m a subscriber so thanks for offering such a great prize. This would make a wonderful gift for my daughter. I am a subscriber - have been for quite awhile so please enter me! I’m a subscriber, and I’d love to go hands-free with the Motorola Roadster! I like you on facebook for an extra entry. I want to enter the Motorola Roadster In-Car Speakerphone Giveaway. Thank you for the opportunity to enter. Would like to win it . Wanna play a safe game on a road! Please enter me into this contest! Thanks! I am a facebook fan now!!! I could use one. I am trying to save up for one. I hope I can get it. subscriber to newsletter. i want to enter (no, i’m not a vampire)! I am already an email subscriber. Please enter me in the Motorola Roadster In-Car Speakerphone Giveaway. This would be such a lovely treat should I win and make me more electronically proficient as well. Thank you. Please enter me…I’d love to win this now that On-Star will no longer use Verizon Wireless minutes after the end of the year! I’ve been signed up for a while now for the newsletter, and the newsletter let me know about this. 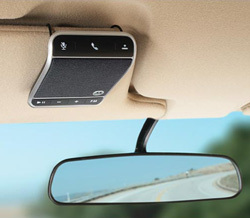 Please enter me for the opportunity to win this Motorola Roadster in-car speakerphone. Liked on Facebook…commenting for second entry! Please enter me, I subscribe!! Please enter me, The world will be a safer place if I am hands free. Please enter me into this contest. Thanks! I’m a current subscriber and would love to win so my husband could use this in his 1930 Model A. Please put me on the list for a chance to win. Thanks for teaching me so much about what’s up with technology ... like this neat product. Of course I’d like to be entered to win ... who wouldn’t?? Thanks for the contest! Please sign me up for the contest. I would love to win that! Yes, please enter me in the Roadster giveaway. Why not? I want to enter. I am already a facebook fan!! !